Disclaimer: This is a contributed post and contains affiliate links. It’s not easy creating a flawless look when it comes to makeup. However many of us will admit to not leaving the house without something on our faces, be that a full face of foundation or just a simple application of lipstick. As it can be such a big part of our lives, I thought I would share with you some of the tips and tricks that could help you with your makeup. From application to where you apply it this guide will help you cover all angles. We can all become a little obsessed with purchasing the latest foundation, the concealer that promises good coverage or the mascara that insists will create voluminous lashes. But because we have the need to try new things all the time, we can end up with a vast collection of makeup and forget what we have. So it would be a great opportunity to give your makeup a sort through and decide what to keep and what to discard. However, if any of the products are new and not been used, then you may want to consider selling them on websites like eBay. 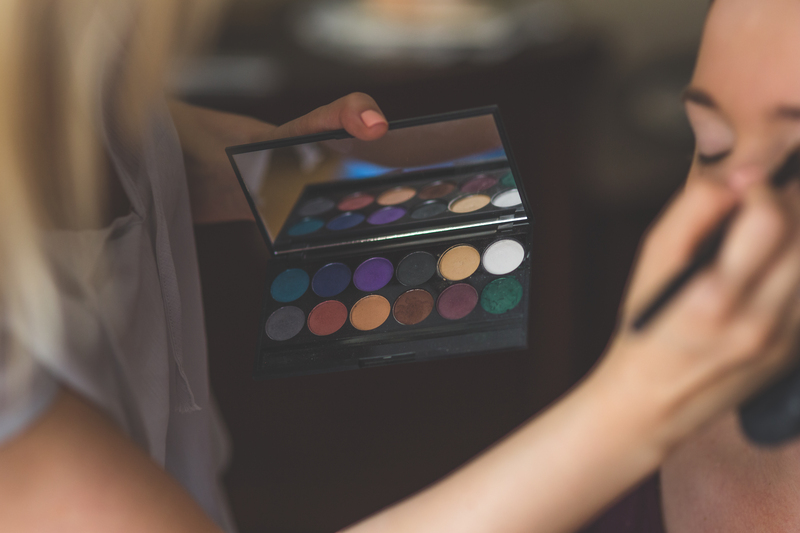 Some women are always looking for a bargain, and it may help build up some extra income that you can invest in more makeup and tools. We may think that using particular brushes for makeup is a waste of time, but some of the tools and applicators can help create a better finish. Makeup artists will always insist that using brushes help create a more flawless finish, whether this is with your foundation or when adding eyeshadow to your lids. If you are unsure on what tools stick with some basic options like a foundation application brush and one for contouring. You may also want a brush to help blend in your foundation and powders. It’s worth pointing out that spending less money on products and buying lots of them could be worse than investing in key products and spending a little more. This is because higher end makeup will have more added to them, such as higher pigments in foundations, for example. All of which could give you better results during the application process, and could easily last longer than some of the cheaper products out there. If in doubt, speak to some experts on makeup counters and once you find the products that work for you and your skin tone, don't deviate. Does anyone else struggle with the application of eyeliner? It’s perhaps seen as one of the hardest techniques to master, especially if you want to create the winged effect. But the truth is, you could be applying it wrong and not even know it. Application of eyeliner should start at the corner of your eye and finish half way. Then go to the opposite side and meet in the middle. This is because applying in one motion means your eyeliner can look bumpy and uneven due to the looser skin on your eyelids. The winged effect should start from the bottom eye line, and not the top. This is because you have a natural curve to your eye line that is much easier to follow from the bottom. It’s important that your base foundation looks flawless and last the day in some cases. So a makeup setting powder could be the answer to all your prayers. If you are unsure how to use them, or want to learn different techniques, then your best bet is to follow tutorials online. Practice will definitely help, and if you find yourself being a more visual person, then you may want to consider watching YouTube videos. Finally, it is well worth thinking about where you apply your makeup. Try and ensure you have access to as much natural light as possible. If you can, apply your makeup directly in front of a window with the light in the center. This will help avoid shadows on your face and also give you the best possible scenario to creating a flawless finish. If you can't apply your makeup in front of a window consider getting yourself a mirror with a built-in LED light to help you ensure your application is right. I hope these tips and tricks help you with your makeup!